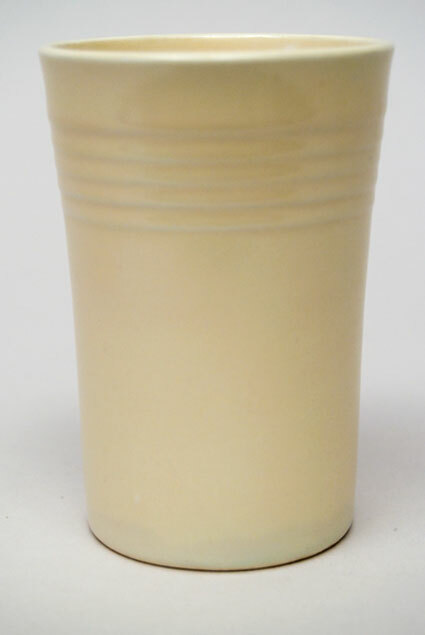 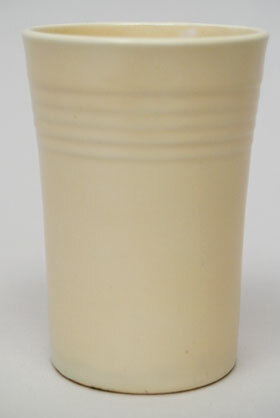 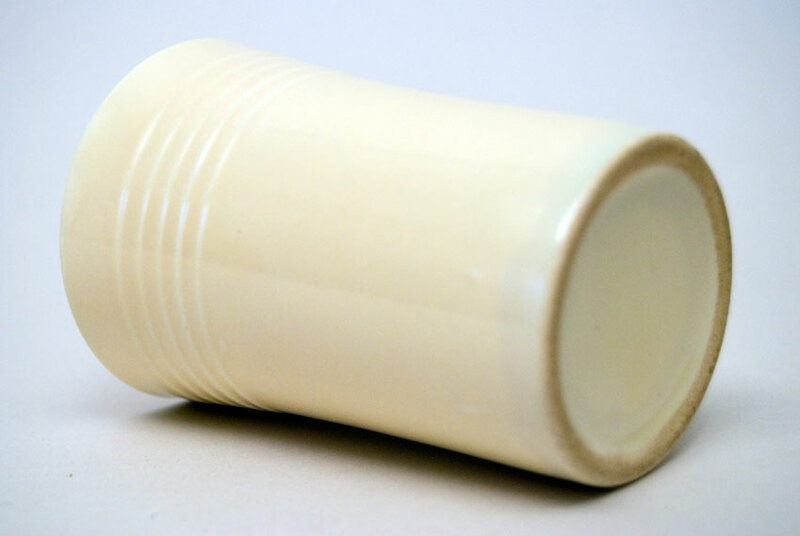 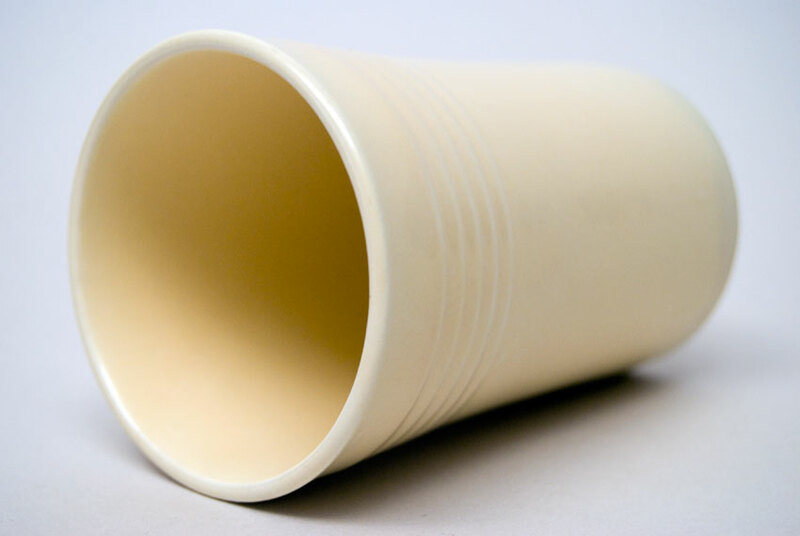 Circa 1939-1940: The vintage Fiesta juice tumbler was part of the first promotional campaign for the Fiesta pottery line. 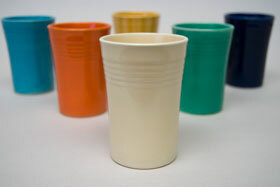 Included were a juice pitcher in red and a set of juice tumblers which came in all six original vintage colors. This example in original ivory, standing about 3 1/2" tall, is in very good shape without damage, making it a nice piece in the hard to find orignal ivory glaze.